French tosafist; born at Courson, department of the Yonne; flourished between 1180 and 1250. He was a pupil of Samson of Sens and, apparently, teacher of Meïr of Rothenburg (Meïr of Rothenburg, Responsa, ed. Cremona, No. 144). His tosafot are quoted in "Shiṭṭah Meḳubbeẓet" to B. Ḳ. (ed. Venice, 1262) 43a, b, under the name "Jacob of Courson," and 79a under the erroneous designation "Jacob of Kurso." According to "Haggahot Maimuniyyot" on "Ma'akalot Asurot," No. 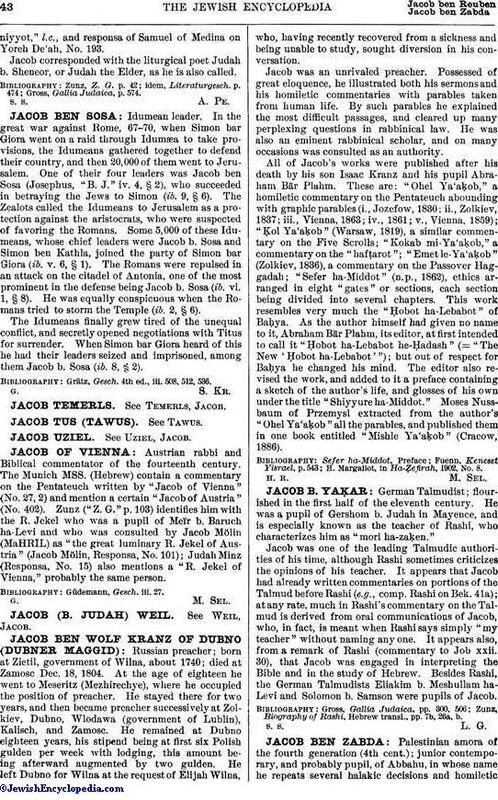 13, Jacob wrote a work entitled "Nimuḳim," containing comments on the Talmud. He may also have been the author of another work entitled "Maṭbea'," containing Talmudic decisions (comp. "Haggahot Maimuniyyot,"l.c., and responsa of Samuel of Medina on Yoreh De'ah, No. 193. 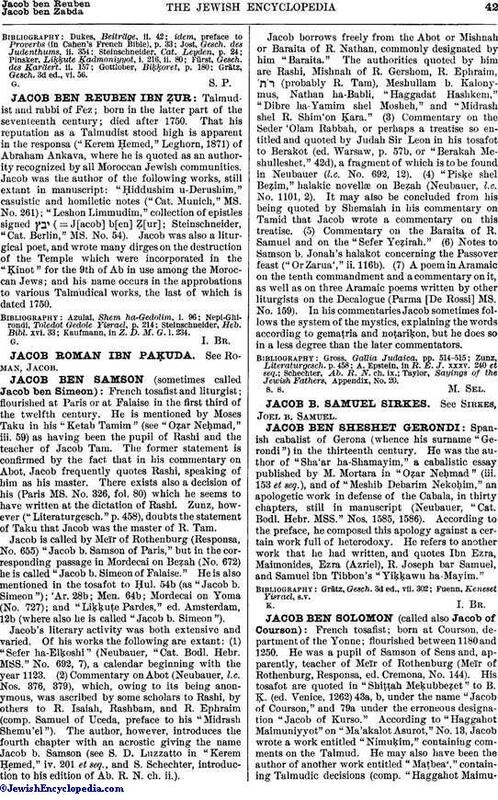 Jacob corresponded with the liturgical poet Judah b. Sheneor, or Judah the Elder, as he is also called. Gross, Gallia Judaica, p. 574.